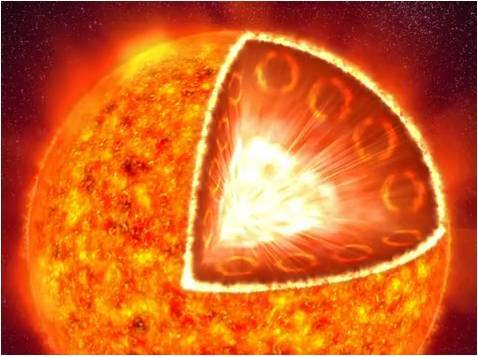 This video with animations explains how particles originating from deep inside the core of the sun create northern lights, also called aurora borealis, on our planet. It was produced by forskning.no in collaboration with the Department of Physics at the University of Oslo. As such it is one of the clearest examples of how the northern lights are created that I have seen – thumbs up to the folks at the UoO! The Euro Crisis: Who is Rescuing Whom? And Why? Are you confused by the recent financial and economic events in Greece? Do you wonder what exactly happened to cause the financial crisis when the Euro had seemed so strong for so long? And how come it affects countries like Greece and Ireland but not Germany or France? 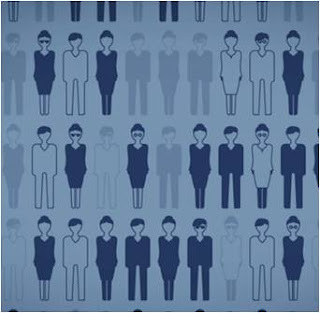 This animated short film by Bertelsmann Stiftung will explain everything simply and concisely for you. It goes back a few years to show what precipitated the current crisis and why opting out of the Euro is probably not a good idea for those countries that are suffering at the moment. Seems a little dry? I thought so too but the animation here is crisp and clear and I really feel like I understand the situation a little better now! OK, I am still never going to be an economist but then again – neither are the people running the show, so it seems! It is possible that one of your ancestors called something like this home. 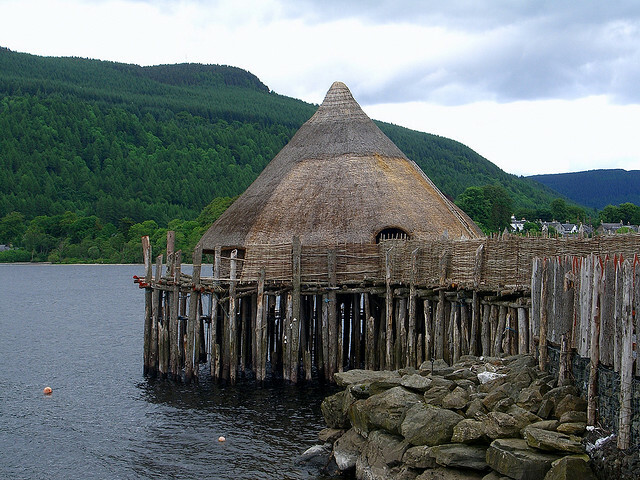 It is a crannog, a free-standing wooden structure which was a popular form of dwelling place for over five millennia. 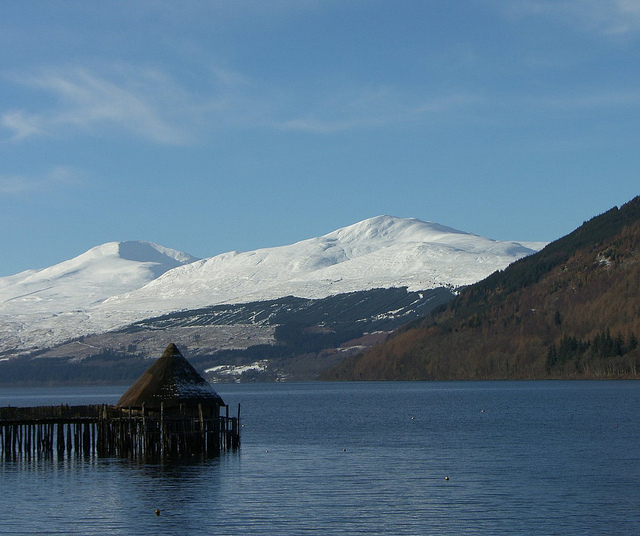 Most were built on lakes and rivers and a crannog afforded a deal of protection to the better off members of the population. 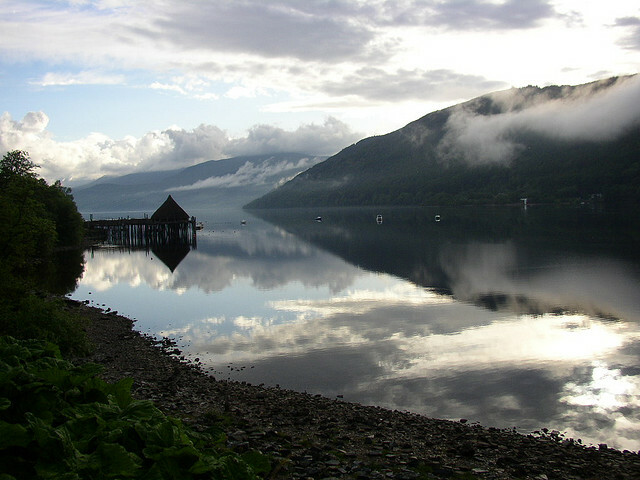 Although the reproduction here is on the shore of Loch Tay in Scotland the word crannog derives from Old Irish and means young tree – a term which first appeared around the twelfth century. It has other meanings too, such as crow’s nest and pulpit which seem almost more appropriate than the most common translation of the word. The word has been adopted in to the English language and broadly refers to any structure which has been created as a partial or complete artificial island. 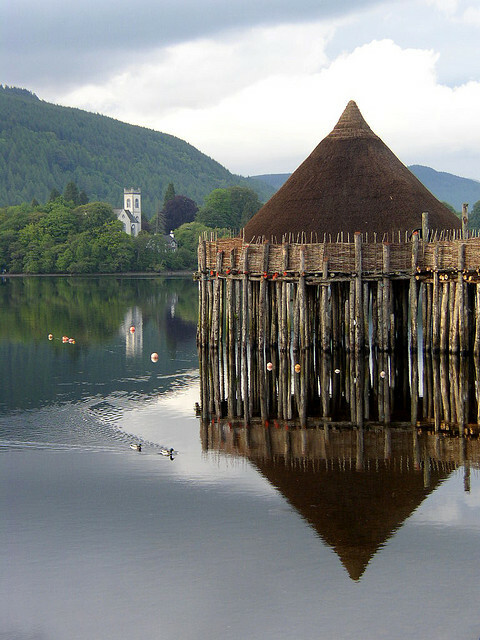 There are close to four hundred crannogs in Scotland but the crannog capital is Ireland, which has over a thousand examples. 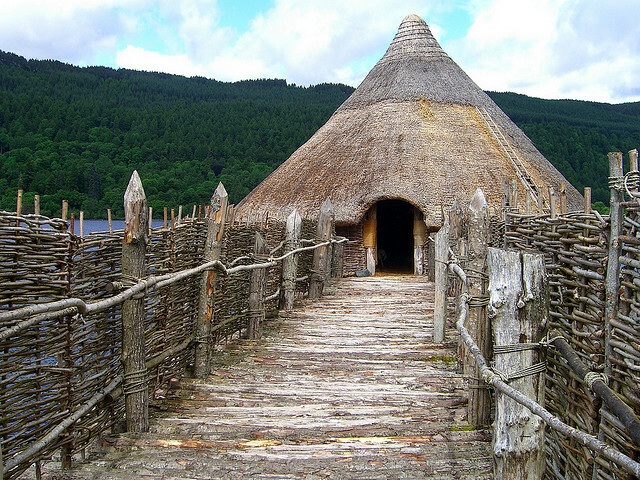 This wonderful replica is based on a defensive homestead in Scotland called the Oakband Crannog which, it is estimated, was built about two and a half thousand years ago. This was at the time Confucius and Pythagoras were alive and the population of the world was around only 100 million people. 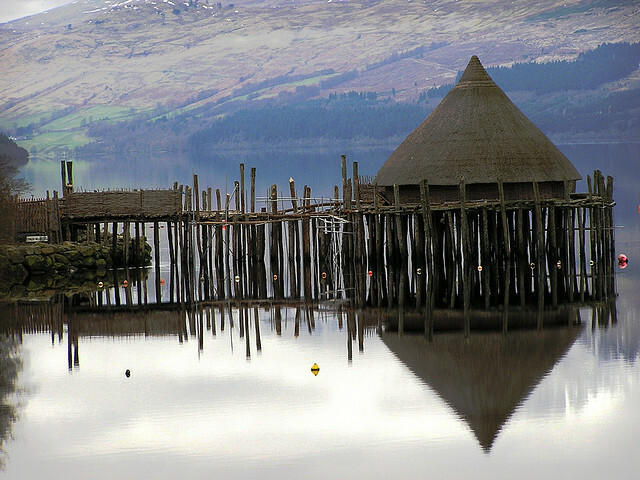 The crannog was built by the Scottish Trust for Underwater Archaeology to discover more about how and why the ancient people of Scotland and Ireland built their homes in or near water and for people to directly experience how they survived without any sophisticated technology. 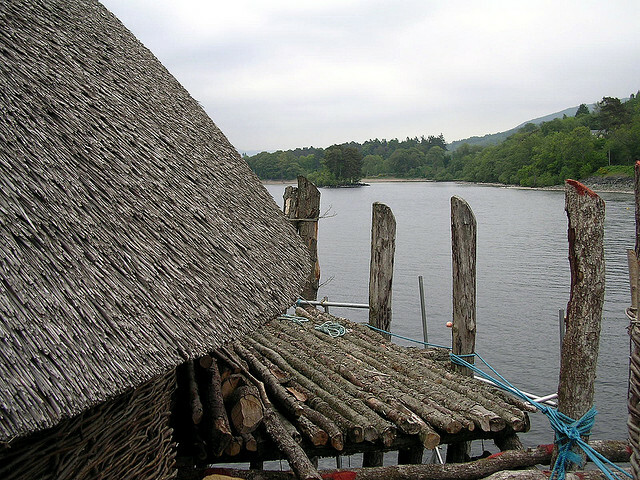 Crannogs served as more than just a homestead for farmers. They were, it is thought, considered status symbols for those who we might call middle class today. Refuges in times of trouble they were also used as non residential hunting and fishing stations. 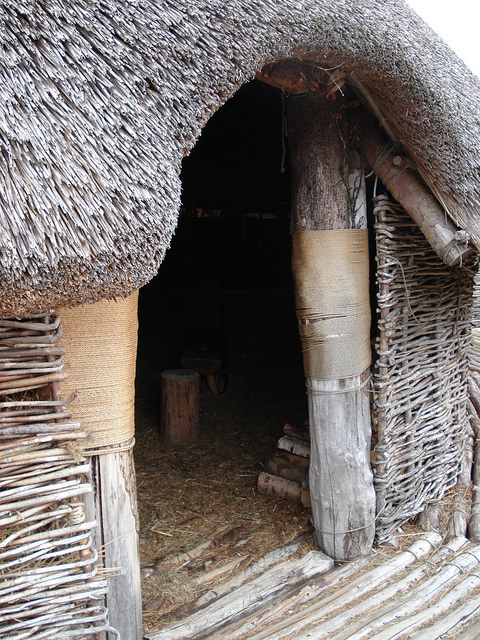 Some were even made as holiday homes – a place for well of Stone Age families to get away for the weekend! 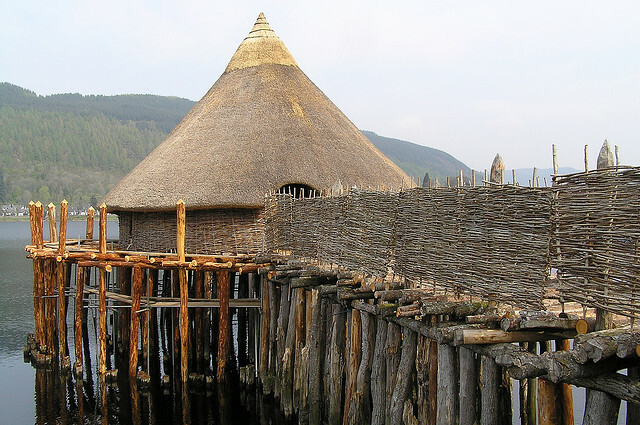 The reproduced crannog is unique in Scotland and was constructed by a painstaking process of rediscovering the antique technology used to create the originals and using the same timber as that found in the Oakband example. 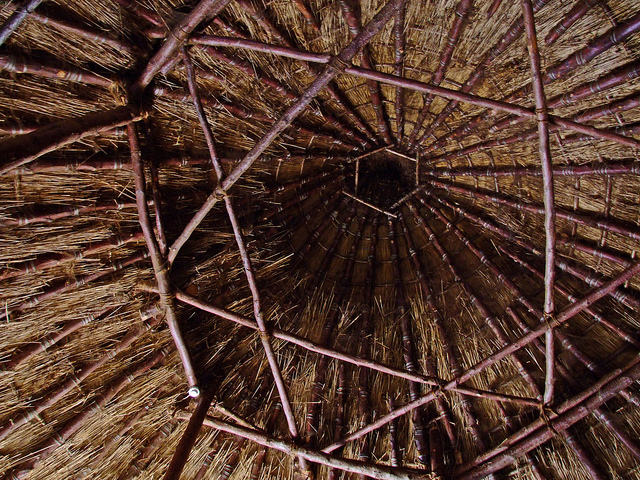 The thatched roundhouse stands on stilts and it is accessed by way of walkway of alder logs. 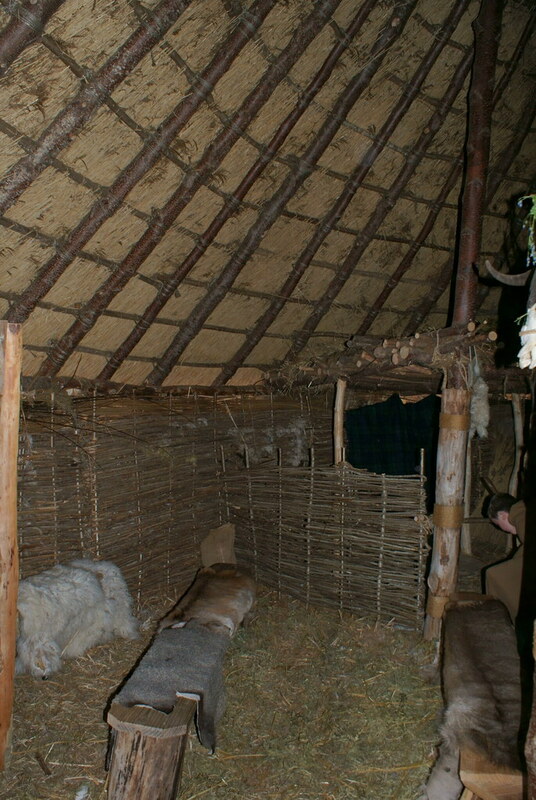 The walls of the crannog are made from hazel, which was wovern and then stuffed with fleece from sheep and goat fibers. 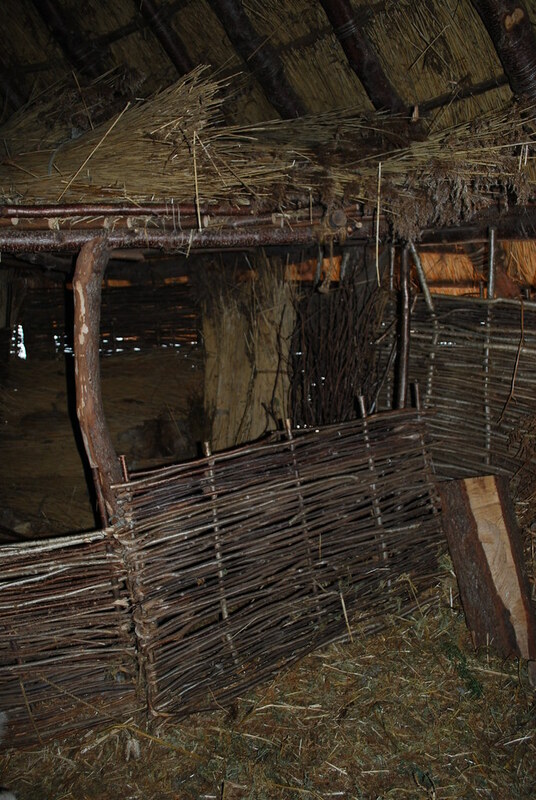 Bracken was also added to keep out the piercing Scottish winter wind and to help insulate the house. 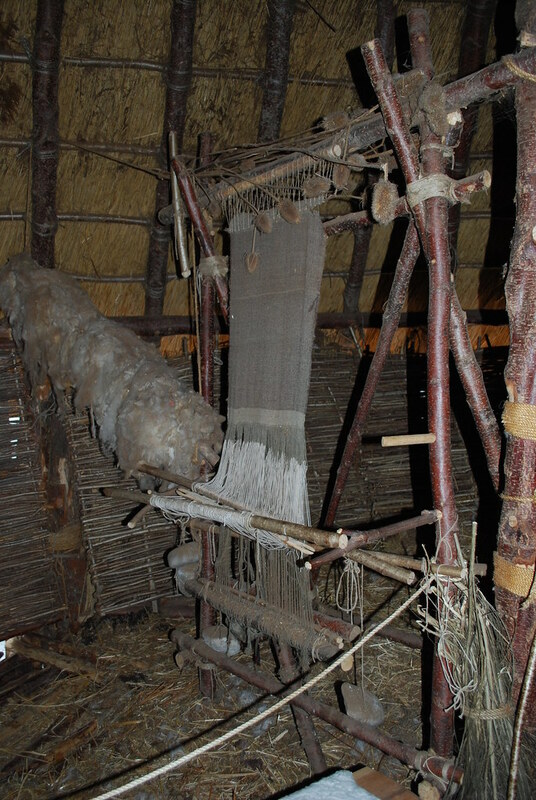 Inside corn would be ground and cloth made on a loom. 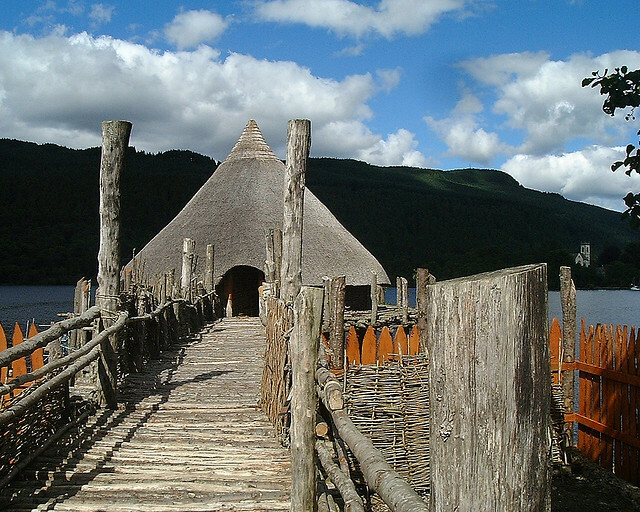 Animals would share the crannog with their human owners, but were segregated in to one part. The space for people too was separated in to two, one part for living in and the other for storage. 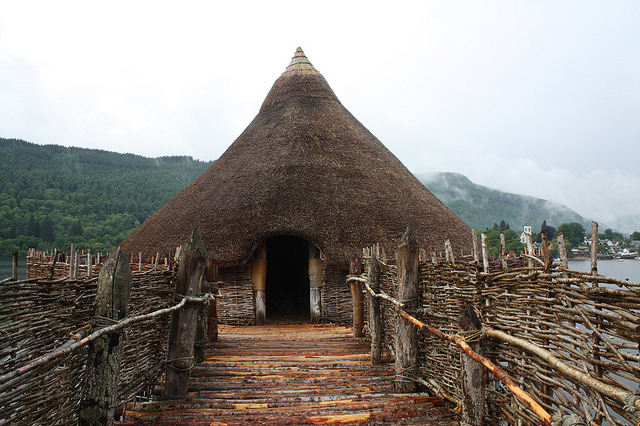 No artificial materials were used in the construction of the crannog so it is as authentic as a reproduction is going to get. 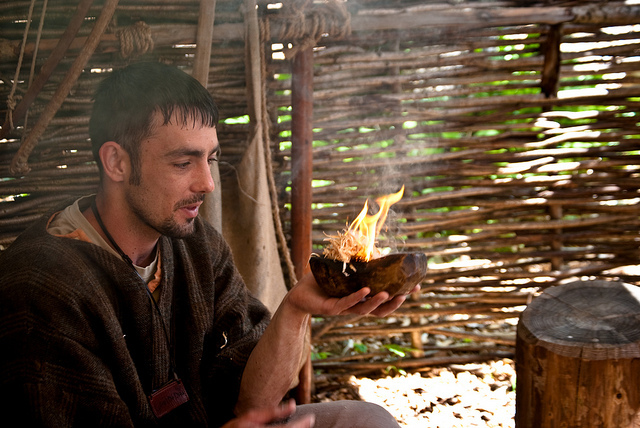 The result is something quite special which casts a light on an ancient yet sophisticated culture of the past. Like to visit? Instructions on how to get there here. Robots of Brixton is unusual, exciting and different, not least because it concerns an area close to which I live – Brixton. 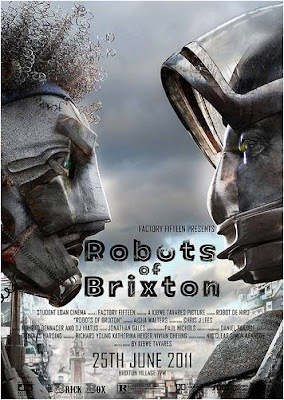 Set in the near future this startling animation by Kibwe Tavares sees Brixton inhabited by a new wave of immigrants – this time, however, it is not people but robots. Designed to carry out all the tasks that humans do not want to do the robot population has grown sky high. This is reflected in the (still somewhat recognizable) streets of Brixton which have some very impressive CG add-ons. 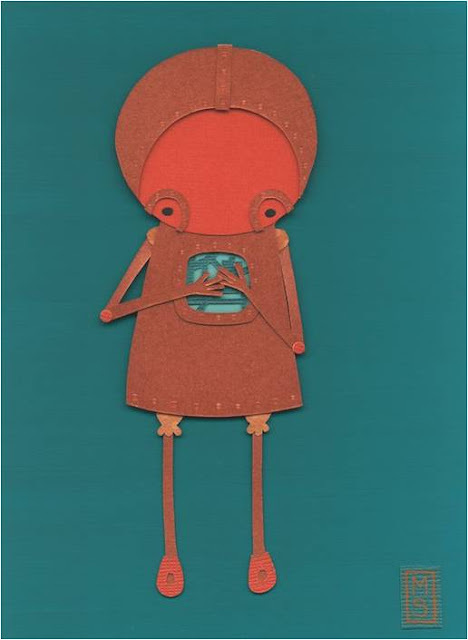 The robots live lives which are marred by poverty, disillusionment and, it seems, mass unemployment. Yet they do have one space which they can call their own (shades of Unamatrix Zero if you know what I mean!) until this is invaded by the police, intent on curbing any illegal activity with as heavy hand as possible. This would stand very well on its own but what Tavares and his team have very cleverly done is to interpolate the recent history of Brixton in to this film of the future. The clash of robots and the authorities mirror the infamous Brixton riots of 1981 with actual footage from then, caught by the lense of photographer David Hoffman. As the youth of South East London once again bear the brunt of a seemingly unfeeling, patrician and care-less government, perhaps this should be sent to No 10 Downing Street. As a reminder of the past it also carries a stark warning for the future. Collage. It’s not a very hip word, really – has a whiff of the fuzzyfelt about it, don’t you think? 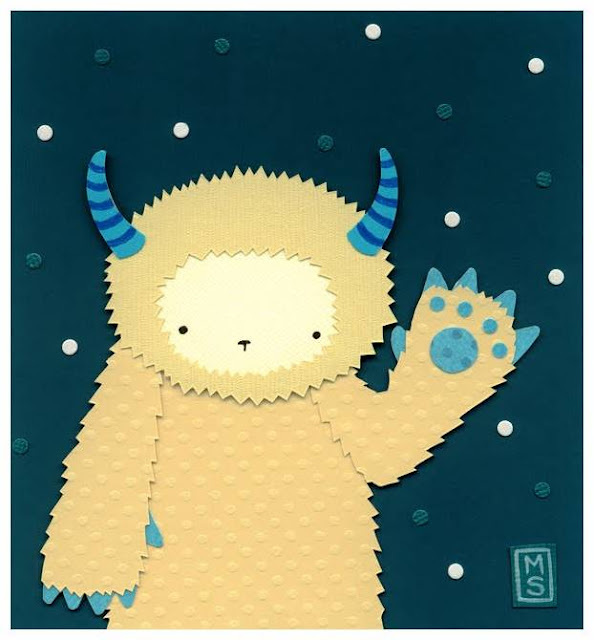 Not so for Nebraska based artist Meghan Stratman. 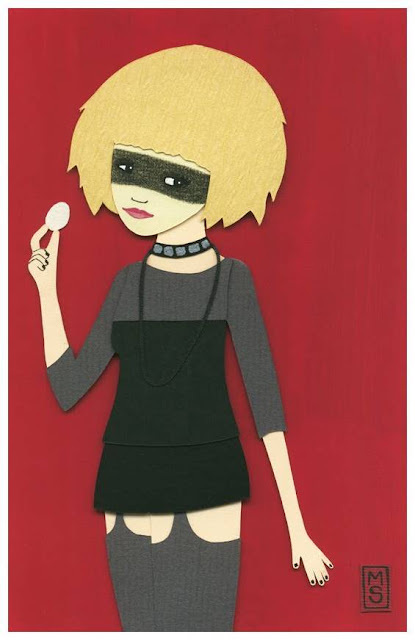 Give her a cutting matte, some paper and an Exacto-knife and you never know quite what she is going to come up with. 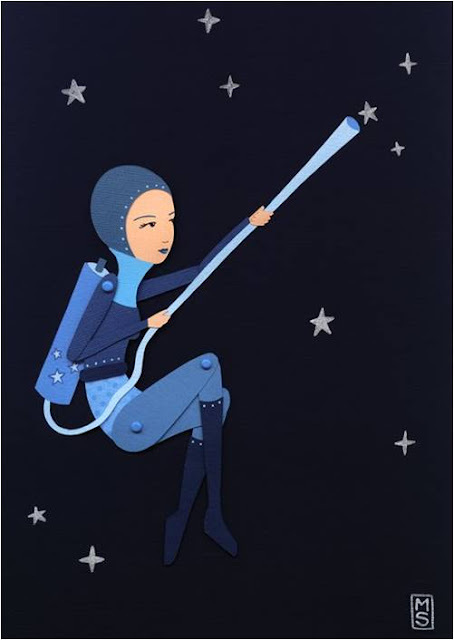 Stratman’s wonderful collages induce a sense of flights of the imagination; they take you to somewhere care free – despite the occasionally darker aspect of her work. 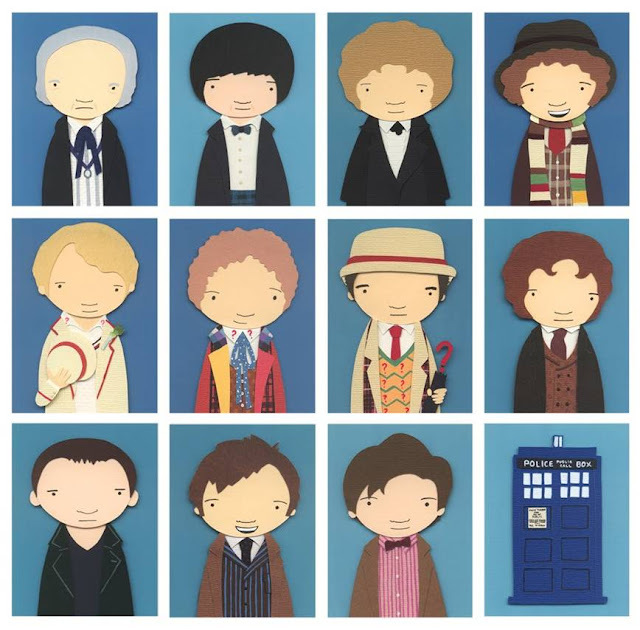 They are not quite portraits yet they do not (in my opinion) constitute caricature either. 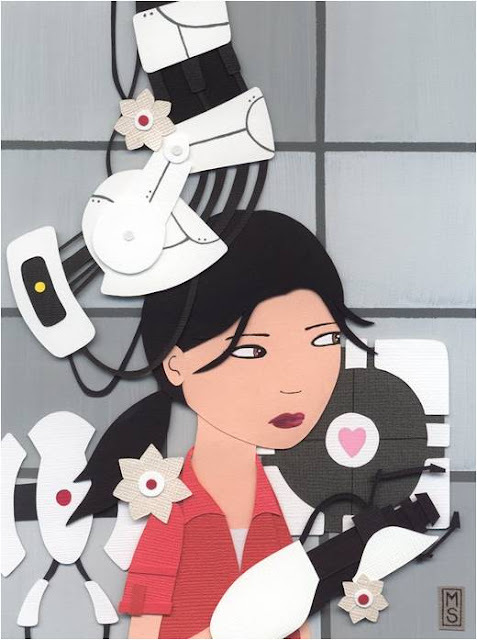 Sourced eclectically, TV and film characters rub shoulders with those from literature and games plus many which are simply 100 percent inventions of Stratman’s mind's eye. Films, TV, video games, books – you will find inspiration drawn from these media. 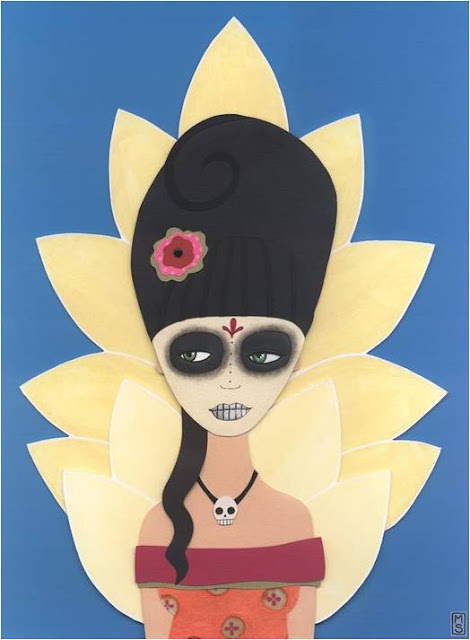 Yet although you are sometimes in the land of the fairy tale there is also a darker side of Stratman’s imagination and her influences are also drawn from the likes of Audrey Kawasaki. What bleeds through Stratman’s work, however, is the love she has for her subjects. 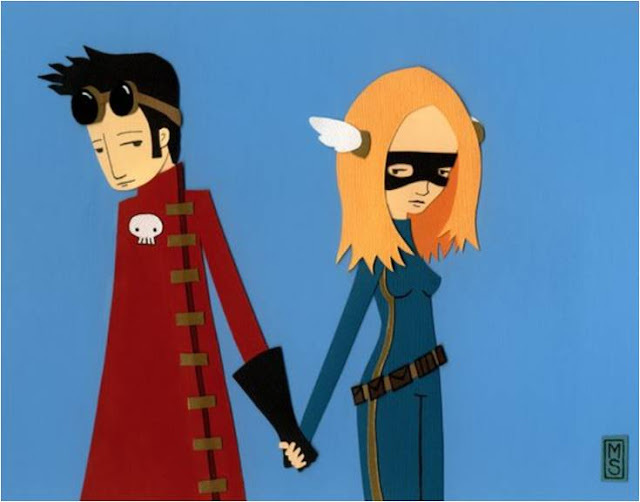 At her website, the marvelously named Bunny Pirates (that dichotomy alone sums her up) she has started a project which she unashamedly calls Nerd Love. 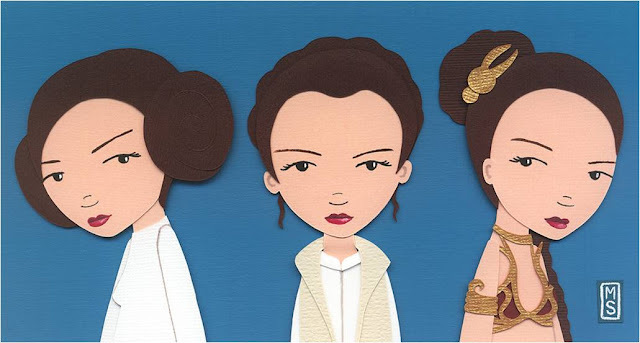 Over the year she will create 52 weeks of paper fandom with a new conception appearing each week. She is on week twenty, so there is plenty to see as well as her other collections.Oh - and you can buy them! 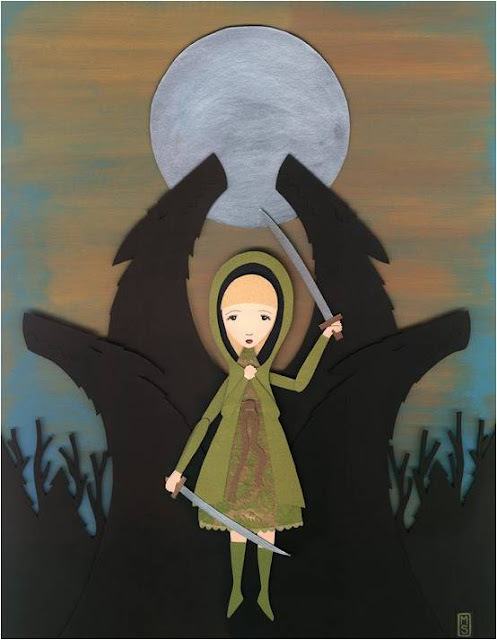 In the meantime, here is a cross section of her work, reproduced with the kind permission of the artist, Meghan Stratman. 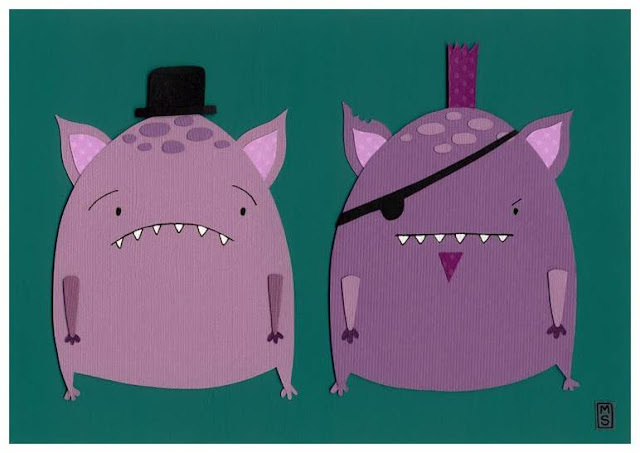 Don't forget to visit Meghan's site - Bunny Pirates! The Ark in Space focuses on India today. From the outside the Hindu temple of Karni Mata in the small town of Deshnoke in the Indian province of Rajasthan looks much like any other. Ornate and beautiful and with a steady stream of worshippers arriving it holds a surprise for the unsuspecting visitor. Rats! Thousands of them. 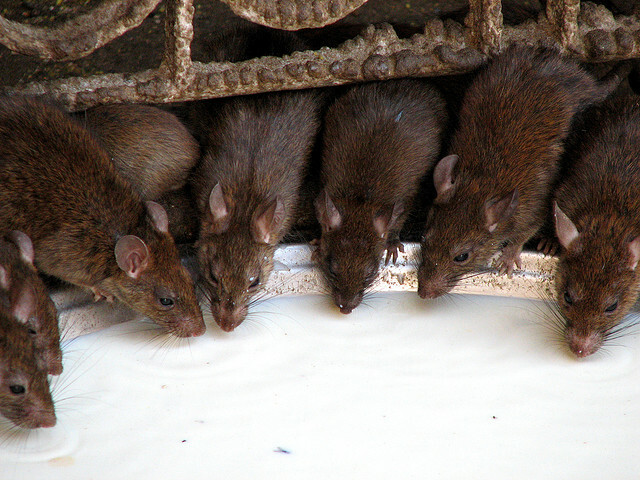 Want to see some more rats not so much in the kitchen but at the temple? Click here. Yankee Gal is another outstanding example of work created at the Supinfocom animation school. Antoine Perez, Céline Desrumaux, Francois Pons and Gary Levesque are the students involved in the making of this World War II drama which shows a pilot in the last few minutes of his life, aboard his eponymously named fighter plane. 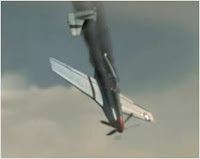 This final year movie shows all the students' expected CG skill but more significantly it immediately draws the viewer into the storyline right from the opening shots of the fighter tumbling ablaze in the direction of the ground. The pilot is powerless in his endeavors to avoid the seemingly inevitable crash. While this happens the pilot, confused and lapsing in and out of consciousness witnesses his own seduction by a femme fatale, a nightclub singer who may well be the personification of his winged vehicle. Striking animation from young talent. Turku is the former capital and oldest city in the northern European country of Finland. Yet they still manage to keep up to date when it comes to modern art. Along the river bank of the city sits the Posankka. A sculpture of a half duck, half pig hybrid it wasn’t terribly popular among some of the more traditional locals when it was first put in place. It is unusual, to say the least. Created by Finnish artist Alvar Gullichsen this gargantuan piece of marzipan (well, that’s how it looks) is indeed half pig, half duck. 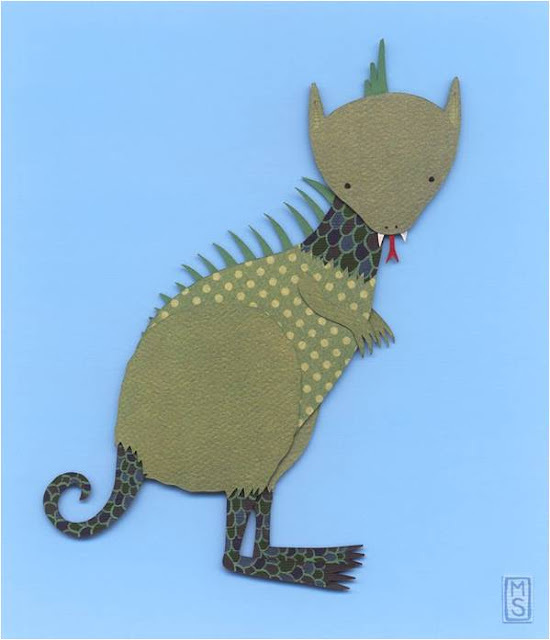 The name comes from the Finnish word for the two animals, possu for pig and ankka for duck. Yes, you probably could have guessed that. The historic city of Turku is not, you would think, the ideal resting place for something so modern and, well, different. 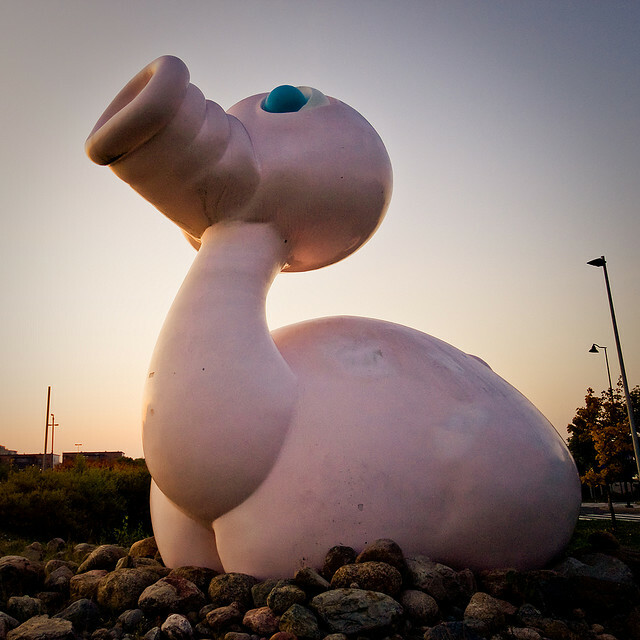 Instead of a beak, the Posankka has a snout. And instead of tail feathers it has a cheeky corkscrew which looks as if it could uncork (a rather large) bottle of wine. Of course, the children were the first to take to its cartoon-like features but more serious art fans were soon to follow. 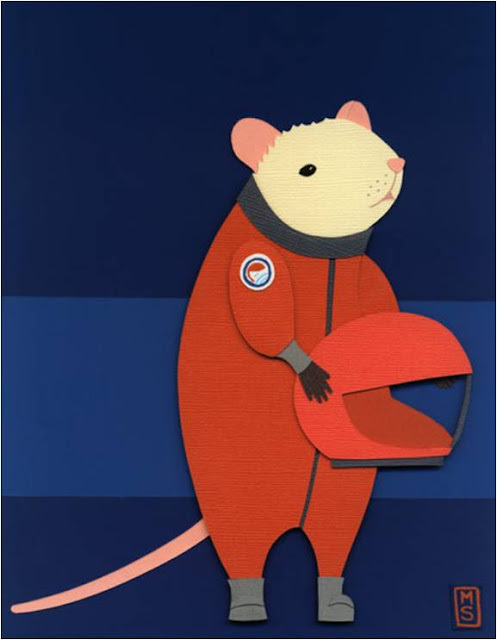 The animal is a criticism of modern gene technology (ears on mice and so on!) but also represents the age old clash between high and popular culture. 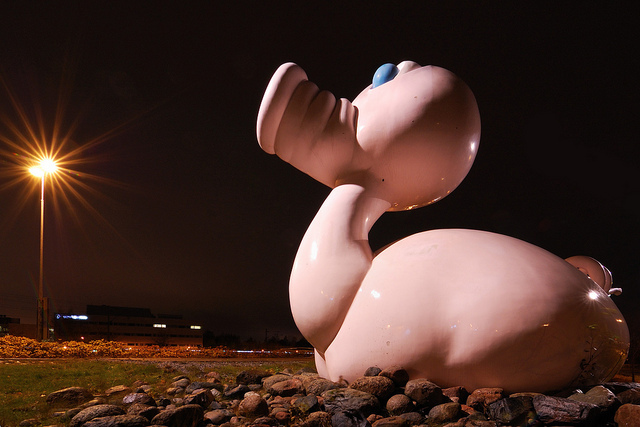 Originally the pigduck floated on the Aurajoki river which flows through Turku. 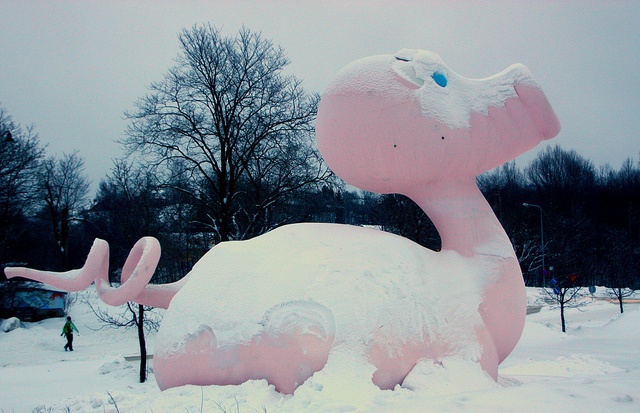 However, it now rests at a roadside near the campus of university of Turku. 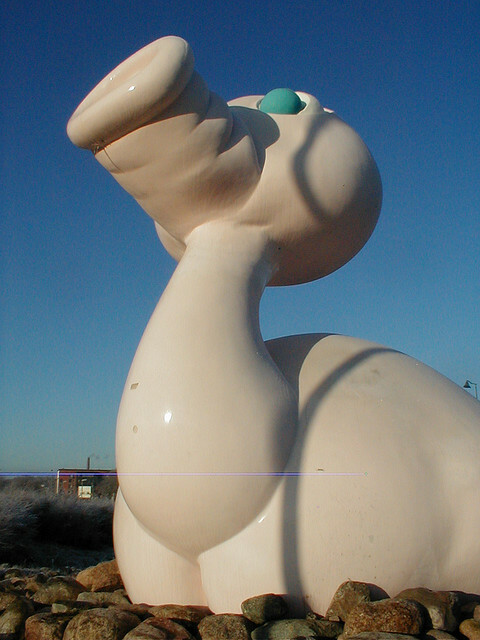 Placing a statue like this would be akin to erecting bronze teletubbies outside Oxford University in England. The students loved him (her, it?) and soon the statue was the unofficial mascot of not only the university but the city. 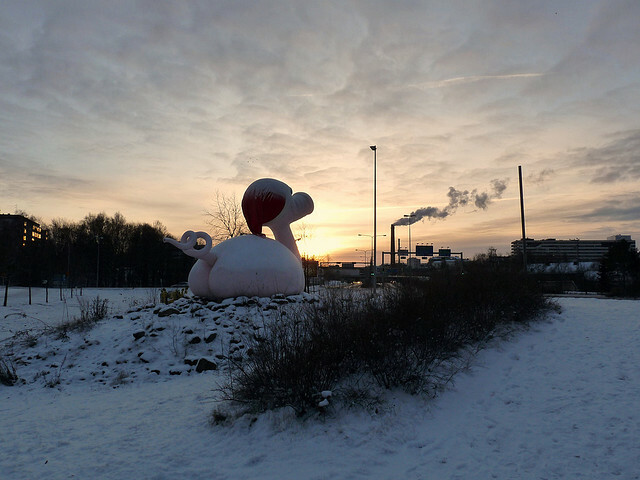 Posankka vigilantly greets the visitors to the city as they drive by. 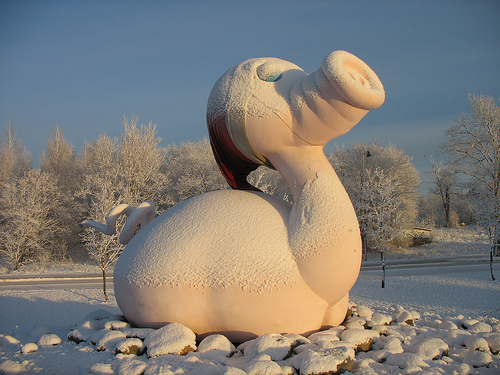 Such is the love that the people of Turku have for Posankka that every Christmas they place a woollen hat on its head (see above) in order to celebrate the season and to protect it from the ravages of the bitter Finnish winter. Just when you thought you had seen it all, along comes something else to surprise you. Of course, the internet is full of dating sites, straight ones, gay ones, ones for people who like uniforms, the list goes on and on (so I won’t bother!). So, there had to come a time, I guess, when a site appeared that will fix up the living impaired. 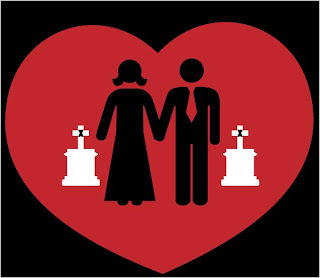 I guess even zombies need a little loving sometimes. Gravedate promises to do just that. Yes, this website does exist - it will be launching later in the year. We might bring you some more news then if we haven't been devoured. Attack of the Many Tentacled Carrot Creature! With the spring rain comes the time for the Juniper to flower, yes? From a distance it looks as if the blooms are large and orange. Yet wait a minute. Doesn’t the juniper produce cones and nuts? On closer inspection, unease turns to horror. 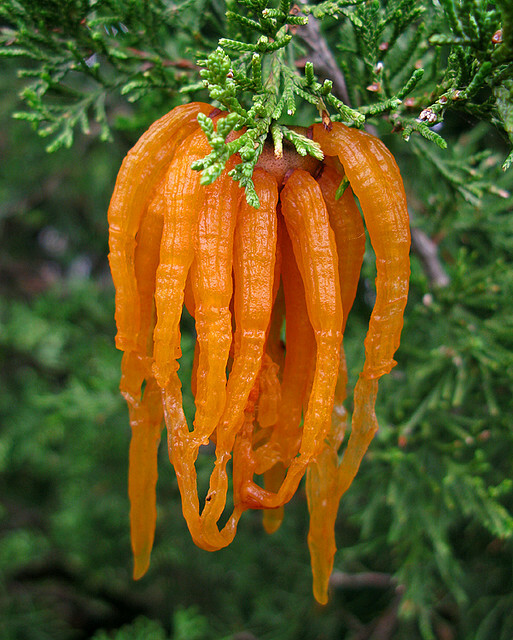 Large, alien looking, carroty gelatinous tentacles seem to have sprung up all over the tree. This is no precursor of alien invasion, however. 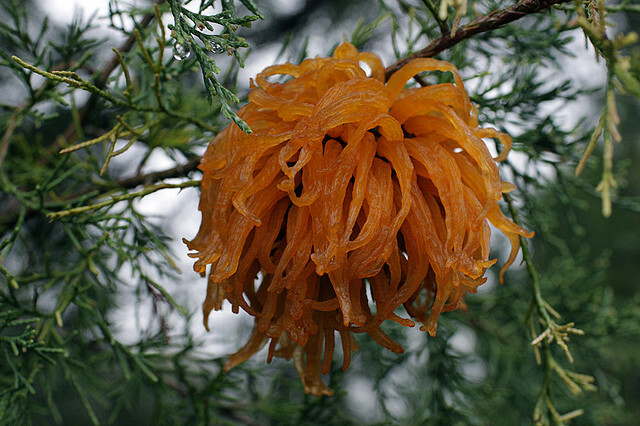 This is cedar apple rust. It is in fact a fungus. 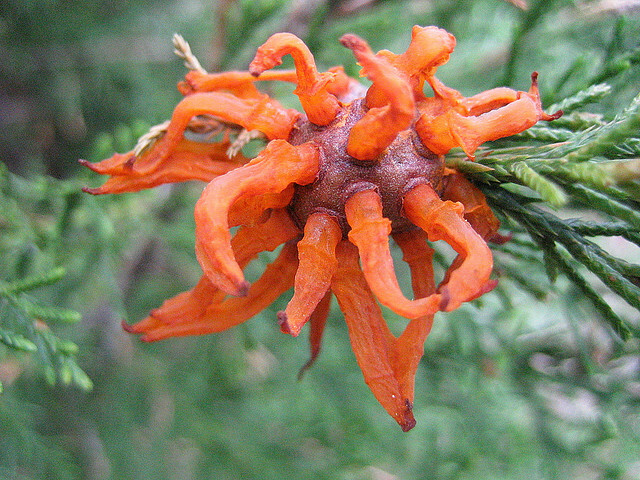 Cedar apple rust? 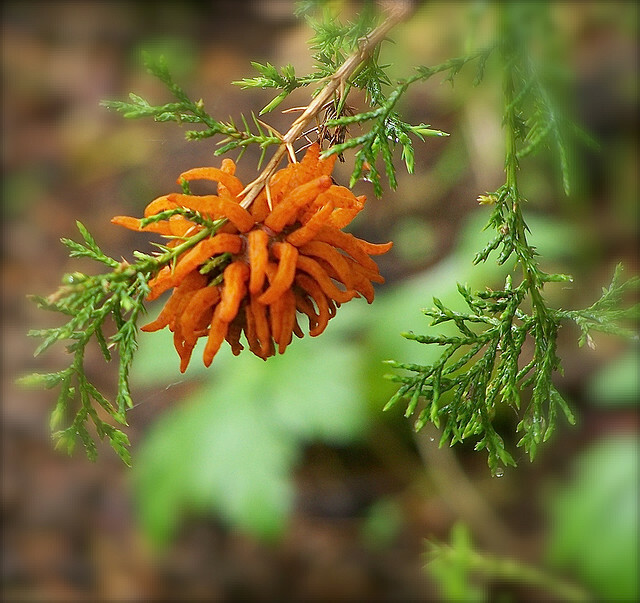 A strange name for a fungus which affects the juniper, you might think. 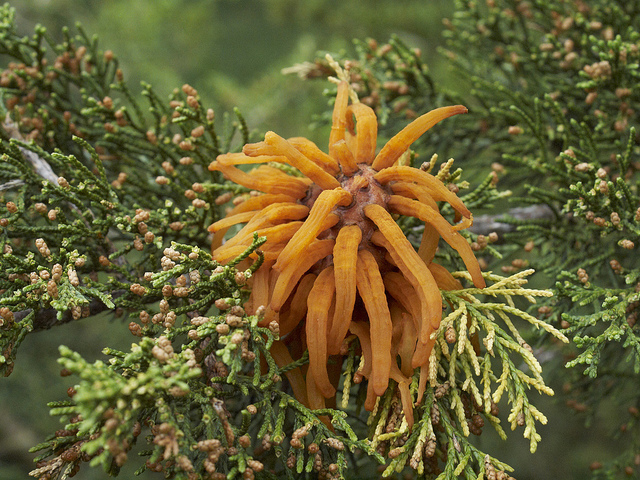 Yet cedar apple rust is so names because it is a disease which requires two hosts to complete its life cycle. 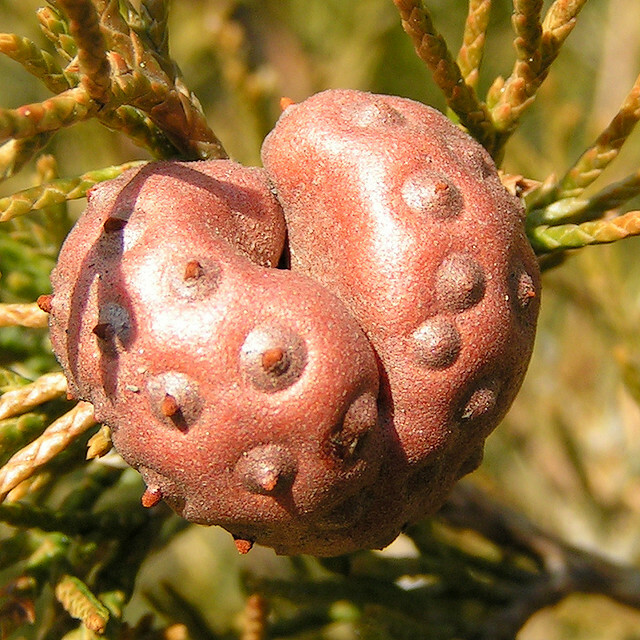 To begin with it will spend the winter as a purple colored gall which looks a little like a brain (see below) on the branches of Juniperus virginiana. 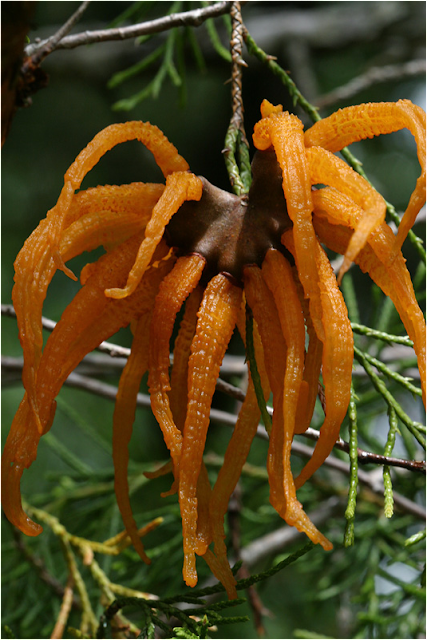 When spring comes the orange telial horns (structures produced by rust fungi as part of the reproductive cycle) begin to spike out of the gall, gummy and viscous looking – something that you really would wish to avoid touching! These horns produce spores which blow on to the leaves and fruit of nearby apple trees. It really does look, at the point the telial horns emerge, as if it has travelled through space, intent on colonising a new world. It doesn't just appear in isolated clumps either. Sometimes it looks like a fool scale invasion is underway. Yet when the spores germinate later in the year this new infection on the apple tree will produce horn-bearing spores too. 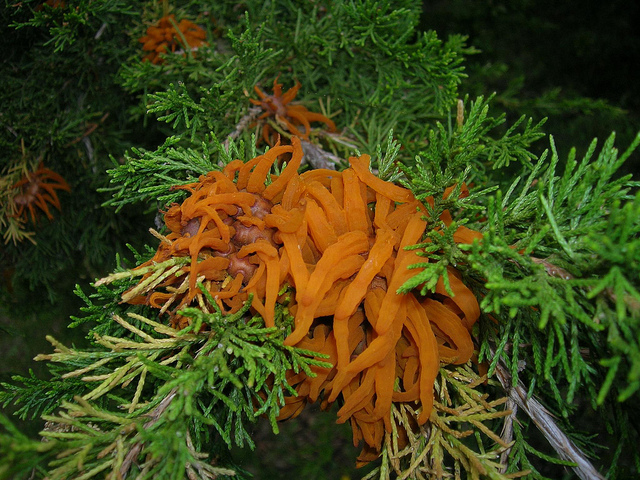 The spores are taken up by the wind and some will land on the juniper. 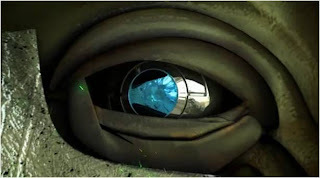 Then, the cycle of infection will begin again. 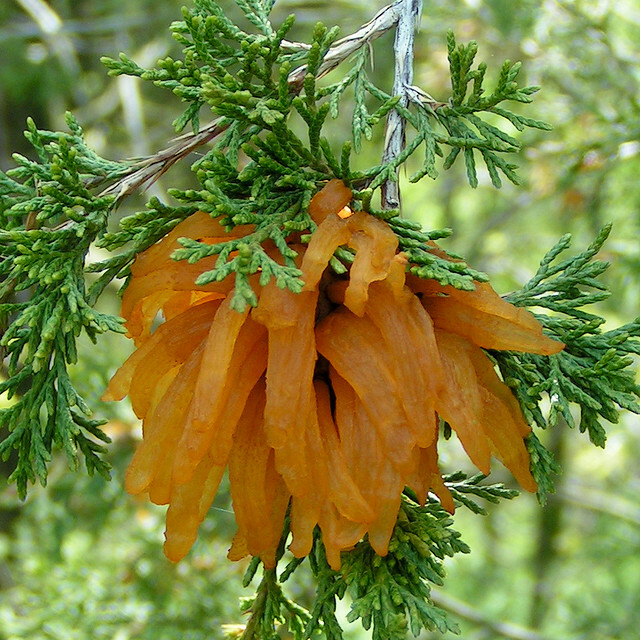 Although the glutinous orange mass looks deadly it does not kill either the juniper or its secondary hosts. However, it will infect apples and will also defoliate the trees so whenever farmers discover it, they will naturally attempt to eradicate it. That is a difficult job. 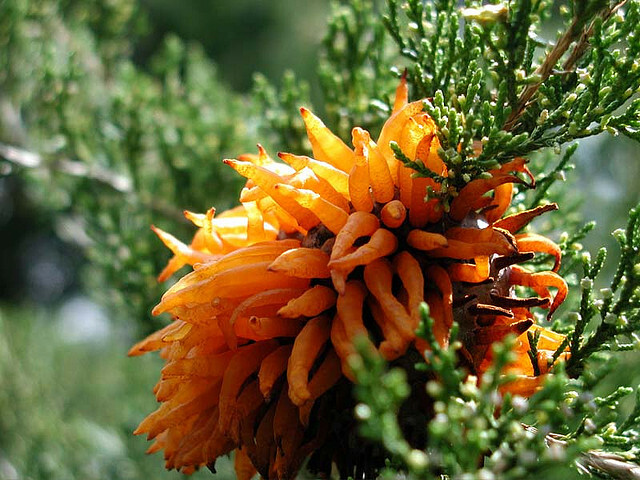 The plant pathogenic fungus is from an order known as Gymnosporangium and there are over 50 species in the genus which attack junipers. This species produces a gall first of all, which is about the size of a golfball – easy enough to spot if you have sharp eye. 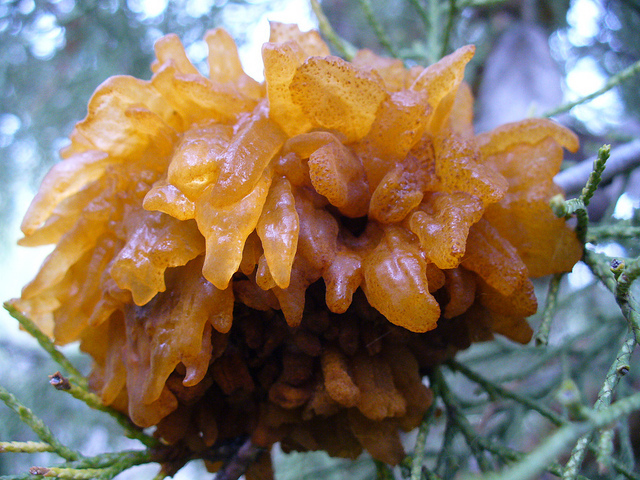 Others, however, grow the telial horns directly from the bark of the tree. So, the way that people in some areas have responded to the threat to their apples (not to mention pears and quinces) has been to cut down all the junipers and to ban the planting of any more in the region. The Ozarks region in the US states of Missouri and Arkansas put in legislation in the 1920s. 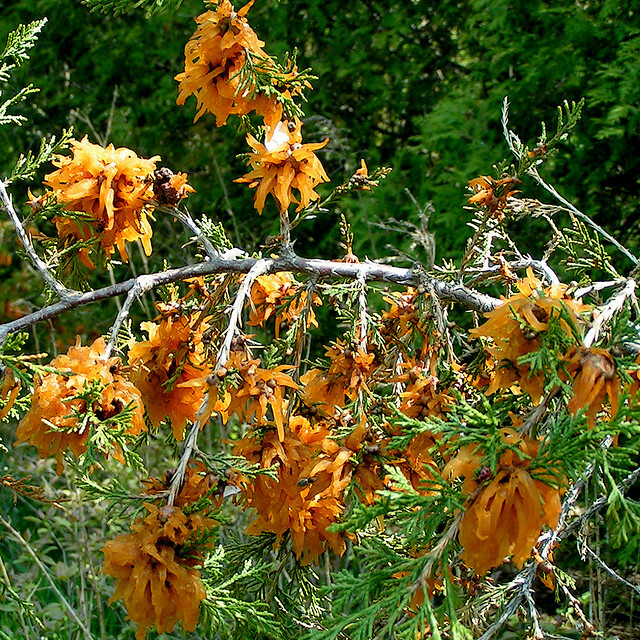 They were not the first to fear and seek to eradicate the cedar apple rust – or species in its genus. 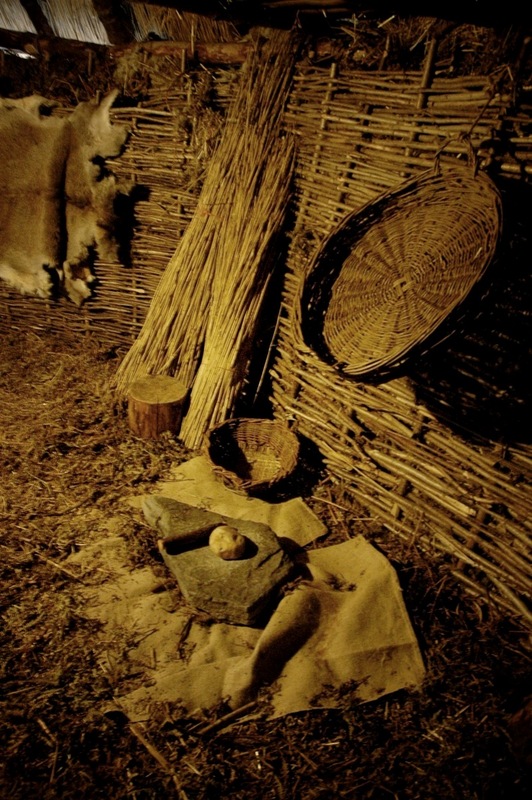 Roman priests would celebrate the feast of the god of grain, Robigus, on April 25 each year. This would involve the sacrifice of a red dog in the hopes then that Robigus would stop the crops from being affected by the fungus. Such radical measures are not taken these days (at least, it is hoped) but in the twenty first century growing disease-resistant cultivars is considered the most likely remedy. Regrettably a good number of the commercially significant apple clones are prone to the disease. 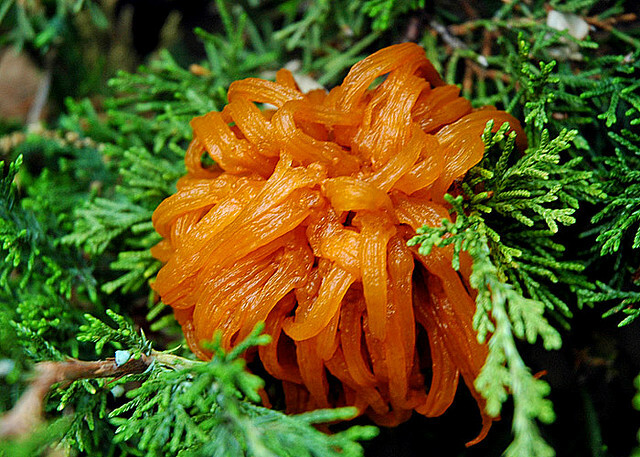 The cedar apple rust will continue to make the hearts of fruit farmers fall for a number of years to come, it seems.